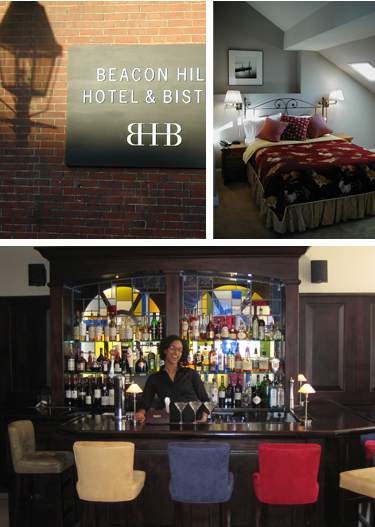 "The Beacon Hill Hotel & Bistro in Boston is the genuine article," wrote The New York Times. Alison Arnett of The Boston Globe praised BHHB and gave it "THREE STARS!" With its refined and comfortable bistro environment at the corner of Charles and Chestnut Streets, Beacon Hill Hotel & Bistro has been featured in Gourmet Magazine, Town and Country, The Wall Street Journal and The Sunday Times of London. Whether for an intimate dinner, a lunchtime business meeting or an after-theatre nightcap, Beacon Hill Hotel & Bistro will be the ideal setting.